10 lb Plastic Wicket Ice Bags "PURE ICE"
W x H + Gusset: 12" x 20" + 3"
10 lb Ice Bags with Plastic Wicket "PURE ICE"
These 10 lb. 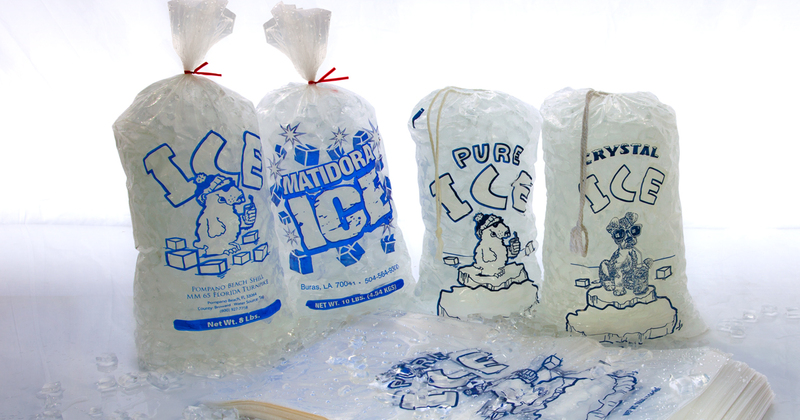 "Pure Ice" plastic ice bags with plastic wickets are pre-printed and the large opening makes packaging ice cubes easy. 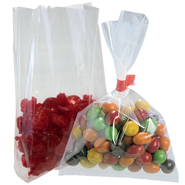 These 10 pound plastic Wicketed ice bags are 1.5 mil thick, measure 12" wide and 20" long, and are made with virgin poly resins, which are FDA and USDA approved for food contact. EVA and Metallocene has been added to these ice bags to increase their strength, for puncture resistance, and for reducing brittleness at ice cold temperatures. Each ice bag is pre-printed with an image of a polar bear standing on ice with the text "Pure Ice", 1000 per case, 250 bags per wicket. 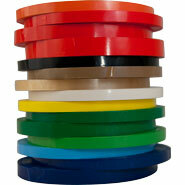 Size (W x L): 12 in. x 20 in. 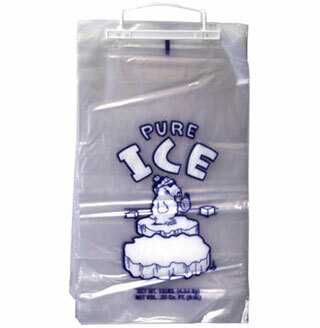 8 Lb Plastic Wicket Ice Bags "PURE ICE"
20 Lb Plastic Wicket Ice Bags "PURE ICE"